Ts’ilʔos offers a variety of hiking opportunities from short day hikes, to extended wilderness backpacking trips. Experienced mountaineers can plan rigorous excursions leading to the Homathko Icefields and major peaks of the Coast Mountains. In order to meet budget targets, trail maintenance has been reduced on the Yohetta/Tzchaikazan Loop Trail in this park. Although this trail will remain open, users may encounter fallen trees and/or trail wash-outs. Extra caution is advised. Trails are not maintained. 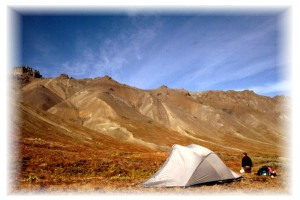 Backcountry visitors need to be independent, self-sufficient, and self-reliant. It is recommended that backcountry users be familiar with first aid procedures and survival situations. trailhead, turn south at the Elkin Creek Bridge, approximately 100 km southwest of Hanceville. 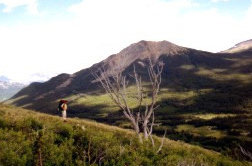 A side trip from Dorothy Lake descends through Rainbow Creek Valley to Chilko Lake (approximately 4 hours, return). Mountain. This trail affords day hikers with some excellent views of the park (3-5 hours, one way).